Registrations open now through August 19. 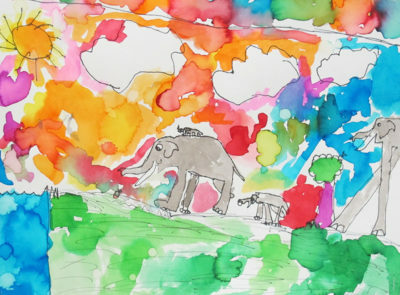 This summer, we will be making art from stories and telling stories about art. 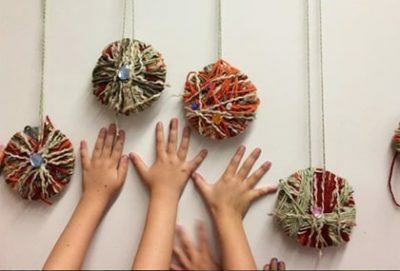 Children in Grades K-5 will use a variety of materials and be inspired by weekly themes; students in Grades 6-8 will enjoy classes designed around specific artistic materials and methods. Everyone goes home with a portfolio of amazing artwork. 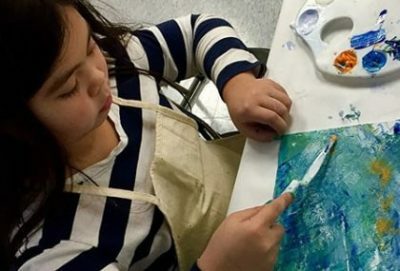 Full-day (9 a.m.–4:30 p.m.) programs provide six hours of daily art instruction taught by highly qualified, professional artists and art educators. * Optional Extended morning and afternoon sessions available for an additional fee. Register for these at checkout. We want to help you choose the right Summer Arts session and level. We understand that children vary in their development from grade to grade. Please select either the grade the student completed in June 2019, or the grade the student will enter in September 2019. 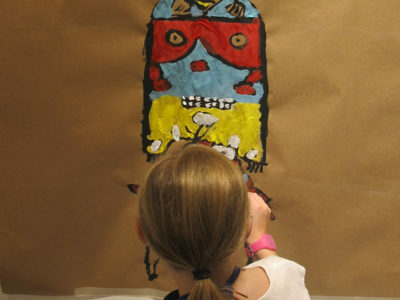 We suggest placing children with peers, regardless of artistic ability. Each week will feature different experiences for all age groups so students may come for multiple weeks. * AM and PM Extended Day Classes available during registration. Additional fees apply. 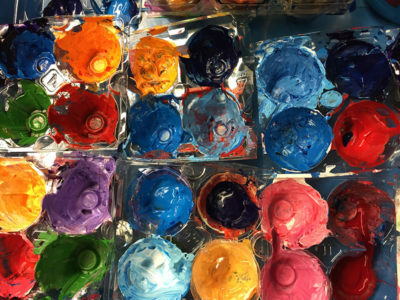 Meets 5 times, 9 a.m. – 4:30 p.m.
Students will experiment with colored pencils, paints, and pastels along with other fun, unexpected artists materials. They will learn about basic tools and techniques all artists use and will be encouraged to express their own individual viewpoint. This week we will look at books about mysteries and detectives. Students will have fun spying on how different artists have illustrated mystery stories and will create their own amazing portfolio to take home. All supplies provided. 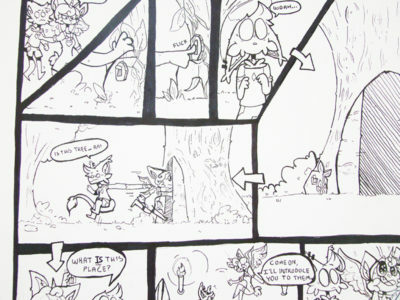 5 days, 9 a.m. – 4:30 p.m.
Students entering or emerging from grades 6 to 8 will explore how artwork and storytelling come together in the form of Comics, Cartoons and Manga. Develop a comic strip with your own invented characters; learn about Japanese comics and how to draw in Manga style; learn how to draw a variety of facial expressions, animate objects, imply motion, and use background space in your story..
3 days, 9 a.m. – 4:30 p.m.
What was it like when the dinosaurs roamed the earth or when America was a very young country? There are some really great books for children exploring history from prehistory to last century. For this short three-day week, we will work in all sorts of fun artistic media and take home work inspired by our trip back in time. All supplies provided. 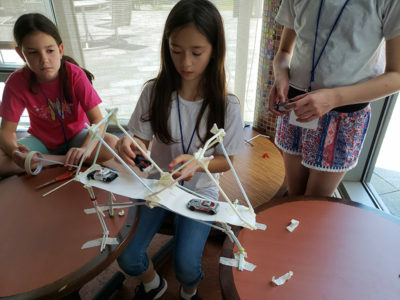 This week, students entering or emerging from grades 6 to 8 explore everything related to 3D artwork; including relief sculpture (can hang on the wall), kinetic (moving) sculpture, environmental sculpture (natural materials displayed outside), and more. 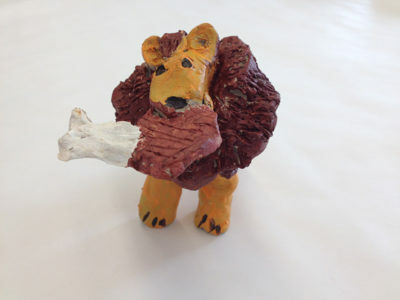 Inspired by historical and contemporary examples, students will plan and execute a series of pieces using wood, wire, clay, Papier Mache, natural and found materials, textiles and more. All supplies provided. Students will experiment with colored pencils, paints, and pastels along with other fun, unexpected artists materials. They will learn about basic tools and techniques all artists use and will be encouraged to express their own individual viewpoint. There are so many crazy, zany, hilarious books to look at this week as we learn about how illustrators create pictures and authors use words that make us laugh. Students will go home with a portfolio of creative pieces in this hilarious week. All supplies provided. Students will experiment with colored pencils, paints, and pastels along with other fun, unexpected artists materials. They will learn about basic tools and techniques all artists use and will be encouraged to express their own individual viewpoint. This week we will look at books about games, sports, the playground and playfield. Using lots of materials like found objects, paint and markers, students will create a portfolio of artwork inspired by the games we play.All supplies provided. 5 days*, 9 a.m. – 4:30 p.m.
Students entering or emerging from grades 6 to 8 will explore how artwork and storytelling come together in the form of Comics, Cartoons and Manga. 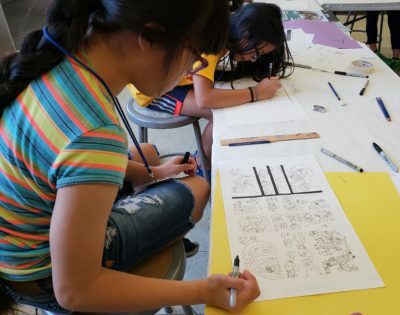 Develop a comic strip with your own invented characters; learn about Japanese comics and how to draw in Manga style; learn how to draw a variety of facial expressions, animate objects, imply motion, and use background space in your story. All supplies provided. Many stories and famous artworks center around food. This week we will be inspired by different authors who write about yummy treats using fun words like scrumptious and artists who make fun images using layers of pencil and paint, colored papers, photos and more. Students will make their own versions of artwork inspired by these stories and pictures. All supplies provided. 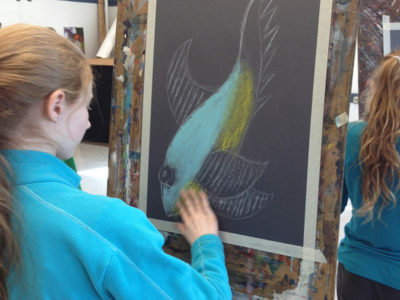 Students entering or emerging from grades 6 to 8 will explore everything related to painting and drawing including techniques with acrylic and watercolor paint, various drawing pencils and charcoal, and how to combine various materials in one piece. They will look at contemporary examples to inspire exciting artwork of their own. All supplies provided. From Skippyjon Jones to the Hungry Caterpillar, there are so many great stories about bugs and animals! We will have fun learning how many different ways an illustrator can draw and paint bugs, bears and baboons – to name a few. Everyone will go home with their own portfolio of creations inspired by our fellow furry, feathered and tentacled friends. All supplies provided. To infinity and beyond!!!! This week we will look at books and stories about outer space, the planets, rocket ships and everything that is out of this world. 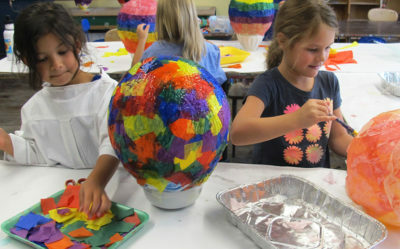 Students will explore materials like paper mache, watercolors, and charcoal as they create a galaxy of artwork all their own. All supplies provided. To infinity and beyond!! This week we will look at books and stories about outer space, the planets, rocket ships and everything that is out of this world. 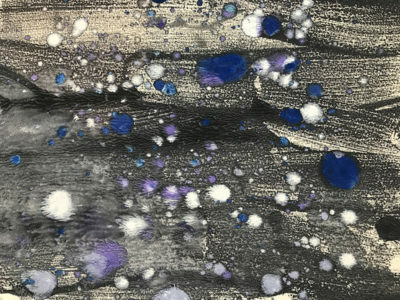 Students will explore materials like paper mache, watercolors, and charcoal as they create a galaxy of artwork all their own. All supplies provided. Harry Potter, Magic School Bus, Wizard of Oz… magic is everywhere in books. This week we will create fantastical art inspired by books about Magic. Students will go home with a portfolio full of pictures and sculptures created with the full array of art materials in our studios. All supplies provided. This week, students entering or emerging from grades 6 to 8 will explore various printmaking processes, using ink and brayers, linoleum blocks and other tools to create unique images that can be printed over and over. In addition, this class will focus on collage as a process for learning about self-expression, composition, layering and color relationships. All supplies provided. People do amazing things all the time- some become famous like Martin Luther King Jr., and some are less well known, like Wangari Maathai, environmental activist from Kenya. Students will be inspired by the accomplishments of these amazing people as well as the amazing images from the books we look at. Everyone will have the chance to create a portfolio of artwork using paint, sculpture materials and lots of imagination.. All supplies provided. Students entering or emerging from grades 6 to 8 will explore how artwork and storytelling come together in the form of Comics, Cartoons and Manga. 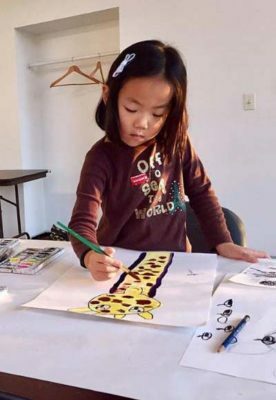 Develop a comic strip with your own invented characters; learn about Japanese comics and how to draw in Manga style; learn how to draw a variety of facial expressions, animate objects, imply motion, and use background space in your story.All supplies provided. Can I register for morning or afternoon classes only? 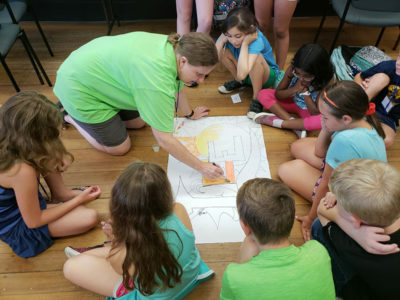 Our 2019 Summer Arts program for Grades K-8 is full-day only. For Grades 9-12, we offer half-day classes, and a full day immersion program which is discounted. Yes, we offer both an Extended Day Morning Session from 8-9 am (Monday-Friday), and an Extended Day Afternoon Session from 4:30-6 pm (Monday- Thursday only). Registration is required for Extended Day and additional fees apply. Children may be registered for Extended Morning ($40/week), Extended Afternoon ($50/week), or for individual sessions as space allows. What is your class size and student-to-instructor ratio? Classes have a maximum class size of 12 students per one instructor. In addition to one experienced instructor, each grade K-8 class also has at least one high school or college level assistant in the studio. High School classes have a maximum of 12 students per one instructor. Yes! We are pleased to offer a discounted Early Bird rate of up to $50 per class, available for a limited time until Monday, April 30, 2019. A Multi-Week Discount is also available for all Grade K-8 classes. 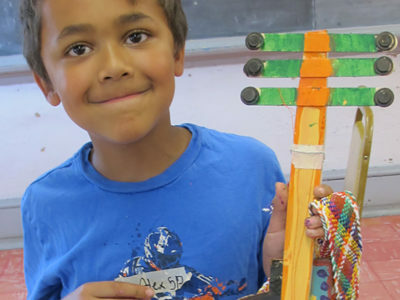 Register your child(ren) for more than one week of Summer Arts and you’ll pay the listed price for each registration for the first full week, and receive 10% off each registration for each additional full week. There is no additional discount applied during the week of July 1-3 or to Extended Day sessions. The Multi-Week discount applies to the regular rate and to the Early Bird rate. This year, we have added a Full Day Immersion discount for High School classes! This is applicable to both the regular and early bird pricing. We registered for a class, but now we can’t come. Can we get a refund? We understand this happens sometimes. Please call the school as soon as possible if you need to cancel a registration. Cancellations received at least 3 weeks prior to start date will receive a full refund. Cancellations received less than 2 weeks prior to start date will be refunded less a 10% cancellation fee per class. No refund will be issued after class start date except in the case of emergencies. 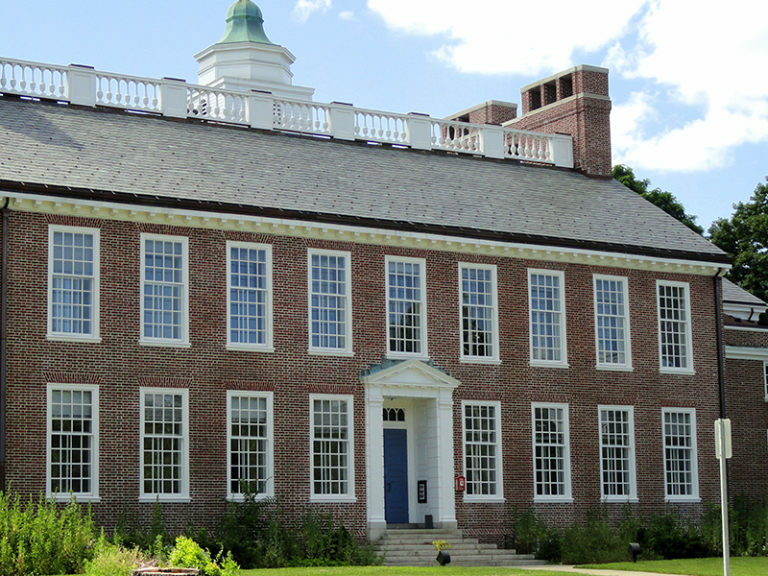 What is the procedure for drop-off and pick-up for Summer Arts? We offer convenient, supervised curbside drop-off and pick-up at the school. Each family will be given a placard to display on their dashboard for use during pick-up. Watch for an email with specific instructions, and please follow signs regarding drop-off and pick-up lanes and traffic patterns. Guardians/caregivers are welcome to accompany their children into the building at any time. Curbside and walk-in drop-off is from 8:45 am to 9am, Monday through Friday. *Please be aware we will not be able to accept students before 8:45 unless they are registered for extended day. For afternoon only High School students: There is no supervised curbside drop off for afternoon classes. Students may be dropped off from 1:15-1:30 pm, Monday through Friday. For all students: Pick up is from 4:30 pm to 4:45 pm Monday through Thursday only. On Friday, starting at 4:15 pm, families are invited to view the week’s creations on exhibit and pick up their children’s portfolio of artwork. There is no curbside pickup on Fridays. There is no curbside pick-up for students enrolled in Extended Afternoon sessions. Can someone else pick up my child on some days? Sure. Please make sure to list all adults who are authorized to pick up children during registration. For the safety of your child, if a different adult must pick up your child, please call the School Office to provide us with their information. Please remind the adult who is picking up your child that they will be required to provide a photo ID. Yes! This year for Summer Arts, we ask the question “What’s the Story?” exploring the relationship between stories and images. Students in Grades K-5 will be inspired by weekly story categories such as It’s a Mystery, Intergalactic, and Amazing People. Instructors will use the illustrations and ideas from the stories to lead projects which will allow individual expression for each child. Through painting, drawing, collage, printmaking and sculpture, students will learn about scale, color, value, shape, texture and line- the foundations of art- and will go home with a portfolio of amazing artwork. Students in Grades 6-8 will enjoy classes designed around specific artistic materials and methods, developing skills and concepts- and will also go home with an impressive portfolio. Our High School classes allow for concentrated study as well as portfolio development and are taught by working artists and college instructors. No, students need to bring their own, nut-free lunches. Supervised lunch takes place from 12:00pm to 12:30 pm. Each morning and afternoon class will have a short snack and stretch break. Please pack two healthy snacks and a water bottle labeled with the student’s full name. Tip: make sure your child knows which food to save for lunch and what to eat as a snack! All students are asked not to bring snacks or lunches that, to the extent verifiable, contain nuts, tree nuts, or products containing those ingredients. However, we do not inspect people’s belongings, and cannot guarantee that all participants will comply. Please alert the school office if your child has a serious allergy. My child has special needs. How do I make sure those are addressed at Summer Arts? We ask all parents to let us know anything about your child that will help us accommodate his/her learning needs. Please contact the School Administrator, Noelle Fournier, at 508-215-5115 or nfournier1@framingham.edu to discuss any special circumstances your child may have. We will do our best to accommodate them.